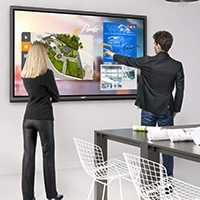 Whether at the office or in the classroom the BenQ MX723 will help you deliver winning XGA resolution presentations. With a remarkable 3700 ANSI lumens bright image, a stunning 13,000:1 contrast ratio and an advanced feature set including 2D keystone correction, Corner fit capability and 1.6x zoom ratio, the MX723 is ideal for use in conference rooms, training rooms and classroom applications. MX723 features a high quality projection lens with an impressive 1.6x big zoom ratio that allows greater projector placement flexibility. Replacing an existing projector with a BenQ MX723 is a breeze. In most cases you can simply install the new projector using the original ceiling mount location, saving time while reducing cost of installation. 2D Keystone Correction is a powerful feature in the BenQ MX723 that allows you to display a perfectly squared image, even when the projector is placed off-center from the screen. Provides greater projector installation and placement flexibility, freeing you from normal space constraints. Corner Fit is an advanced feature in the MX723, used to correct image geometry when projecting on surfaces with defined boundaries such as a white board or fixed frame screen. Provides an easy and convenient way to perfectly frame an image on the screen by independently adjusting each corner fo the projection. As the first DLP brand to incorporate Philips' ImageCare technology into its projector lamp system, BenQ has taken a further leap, developing its own SmartEco Technology to perfect what DLP can do for energy saving in the 21st century classroom. Built with this brand new invention, the MX723 brings together uncompromised brightness, exquisite picture quality and optimized lamp life through SmartEco™ Technology helps lower total cost of ownership while optimizing projector performance through dynamic power savings, providing uncompromised brightness, exquisite picture quality and optimized lamp life – BenQ's SmartEco Technology has perfected the power efficiencies DLP projectors can deliver. These innovations allow schools and corporations to save up to 70% of lamp power consumption with the added benefit of lower maintenance costs. Projectors with BenQ SmartEco™ Technology deliver lasting ultra-vivid viewing experiences. The Eco Blank mode allows teachers to blank the projection screen whenever they need to direct their students' focus back on them – or simply when the projector is not in use. When activated, this special feature reduces the lamp power automatically, lowering the total power consumption by 70%. The SmartEco Mode dynamically adjusts the lamp power to maximize power saving and still delivers the best contrast and brightness performance using only as much light as needed. power based on the content brightness level requirements. The MX723 automatically switches to Eco Blank Mode in the event the projector is left running without a display source connected for over three minutes. This eliminates unnecessary waste of energy and prolongs the life of the projector lamp. The Auto Power Off feature automatically shuts the projector down in the event the projector has been left powered on without a display source for over 20 minutes. This eliminates unnecessary waste of energy and prolongs the life of the projector lamp as well. When powered off in standby mode, the MX723 keeps power consumption to a minimum, using <0.5W standby power. Achieving what was once a challenge for earlier generation projector models. This technological advancement in energy saving helps keep operating costs down. 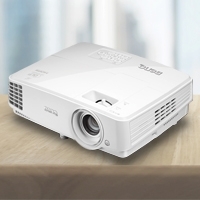 When Network Standby mode is enabled, the MX723 consumes less than 6W power, keeping the projector connected to the network after it has been powered off. This enables IT managers to monitor and control projectors over the network and schedule maintenance tasks while saving a significant amount of the earth’s energy resources. LAN Control is designed to help IT managers schedule projector maintenance tasks effectively and efficiently, providing full access and control over every projector directly from any authorized computer on the network. The MX723 offers seamless support for the Crestron and PJ-Link LAN Control systems. 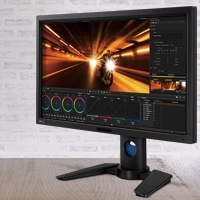 LAN Display is a convenient, cost-effective solution that allows users to display content from a computer source connected via a conventional Local Area Network. This one to one setup delivers a crisp image and affords content management for discussions, presentations, training and classroom teaching. Changed your mind after powering the projector off? The Instant Restart feature gives users a 90-second window to turn the projector back on after it has been powered off – The lamp will come back on instantly…no waiting necessary. Lamp replacement can be done quickly and easily without having to remove the projector from the mount, saving time and money. Automatically into standby mode less than 200 sec. Automatically into networked standby mode less than 183 sec.  One (1) year from the purchase date by the original retail purchaser (the "Customer") (except for pre-installed lamps as specified below and refurbished units which have a separate warranty policy), parts and labor only (No advance replacement).